Safe swimming is safe fun! 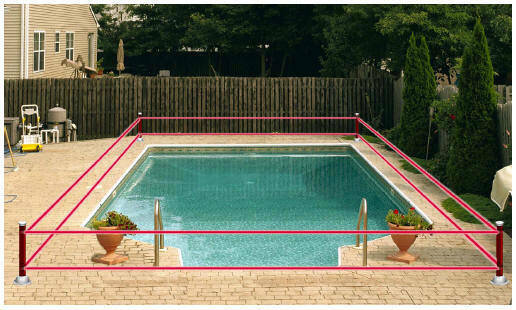 This page is about pool safety and is very important because it educates the public on the importance of safety around and in the swimming pool. 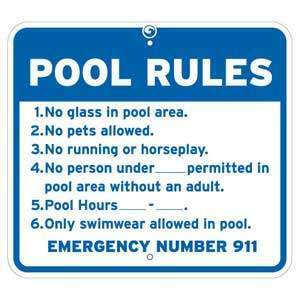 Safety around the pool should be everyone's number one priority. There is nothing pretty about someone drowning and dying. I've seen two drownings during triathlon races and it's not anything to be excited about. Safety safety safety!! Even though these are mostly seen at beach lifeguard stations or commercial properties such as hotels or apartment complexes, homeowners should have these too. They are generally made out of a hard foam or plastic with a rope attached to it. The rope is very important because it's what allows you to pull someone back to the side of the pool. Make sure it has easy access because seconds matter. 2) Floating Ring - This is something that wraps around the swimmers waist and keeps their upper body above the water. 3) U.S. Coast Guard Approved Life Jacket - This is something the swimmer wears that wraps around their upper body and secured by a zipper to ensure it stays on. This is a very inexpensive safety tool. You'll also see these at hotels and apartment complexes. It looks like a bit loop hanging off a pool pole. 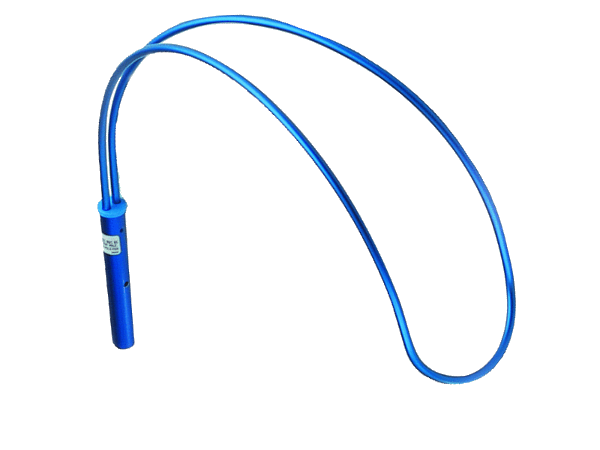 It's essentially a metal loop that attaches to a standard pool pole. The idea is if someone is downing you can extended the loop out to them and pull them back to safety with your pool pole. Simple yet effective! This is passive safety protocol that makes sure the water is clear and healthy for swimmers. Make sure all of the chemicals in the water are within the appropriate ranges to prevent infections and diseases. For this you need a very good test kit. 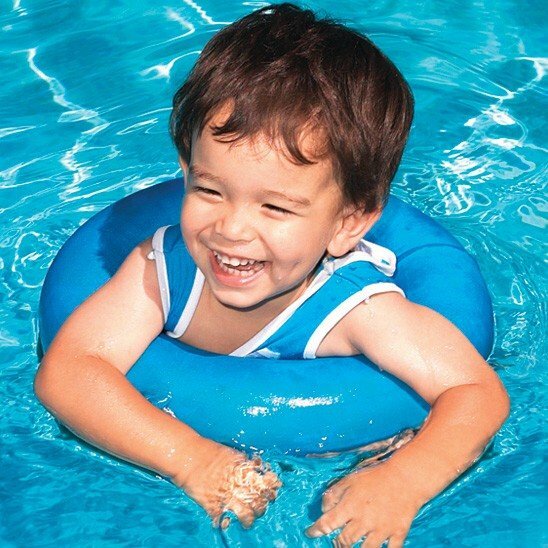 There is a huge benefit to installing one of these around your pool, especially if you have small children that are too young to understand the dangers of the pool. 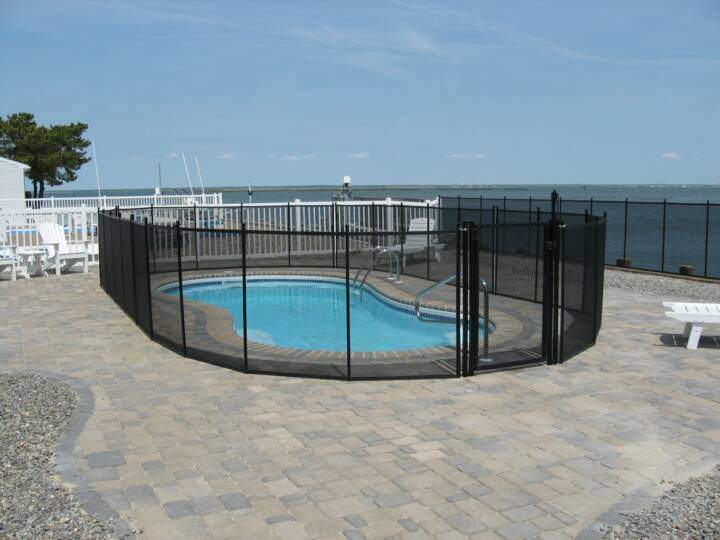 It's basically a mesh net that blocks children (or animals) from entering your pool unsupervised. The CPSC (Consumer Product and Safety Commission) recommends installing a fence that is at least 48" high and has a self closing, self latching child resistant gate. This is an extra layer of protection to keep everyone safe. These are audible alarms and there are 4 main types. Wearable Alarms - This alarms is great and made mainly for small children. How it works is the child (or adult that acts like a child..haha) straps it on their wrist and it will make an alarms sound once the device gets submersed under water. Great for public places! Pressure Sensitive Alarms - These remind me of above deck autofills. How this system works is it sits on the deck and overhangs into the water via tube. When waves start happening it activates the alarm. The amount of force required for activation between different alarms vary but most are around 18 pounds. Gate Alarms - These remind me of the new wireless home alarm sensors. Essentially they use a magnetic field and when the two separates that magnetic field (such as opening the gate) the alarm will sound. If you have a safety fence and gate, this system makes absolute sense. Perimeter Alarms - These remind me of the invisible dog fences that send them a shock if they go outside of this fence. Same idea minus the shock. If a while breaks the invisible perimeter the alarm will sound. Not just by anyone, but a "qualified" sober and alert adult. This is the most obvious one and the best safety money can buy. One can install all these high tech alarms, have 6 ring buoy's and 12 shepard's hooks, but what's the point is no one shows up to hear/use the items when it's needed most? It's important for us to step up to the plate and be ready to save anyone in distress while in the water. Make sure everyone using your pool knows how to swim. 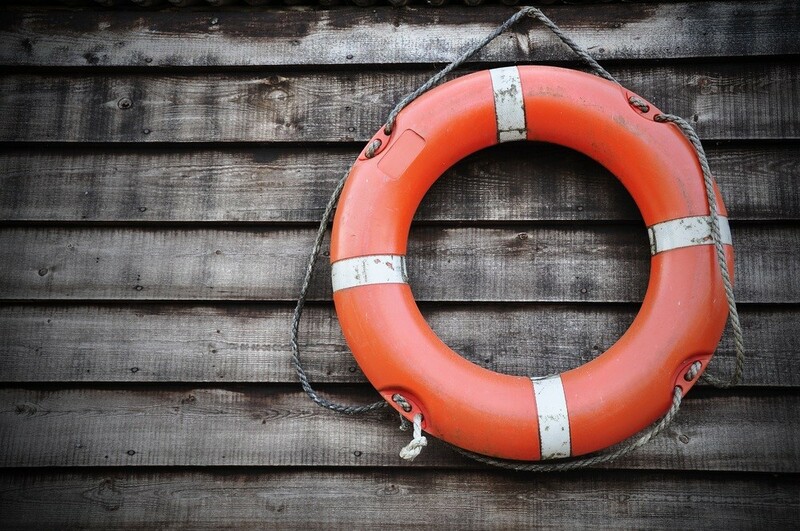 It sounds incredibly obvious but often times drownings occur because the person did not know how to swim. If someone does not know how to swim enroll them into a "learn to swim" course to familiarize them with the water and teach them how to swim! 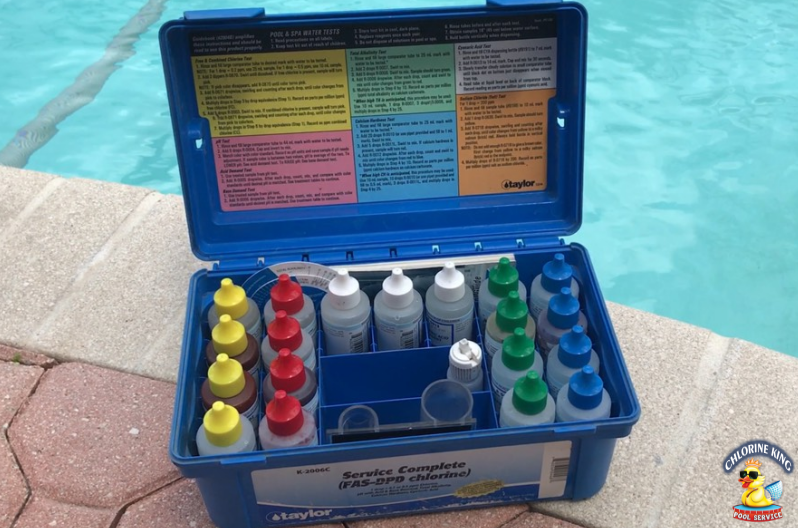 An added safety bonus for making sure people are safe in your pool is to have at least one person there who has received training/certifications in water safety, first aid and CPR courses. This way if an emergency occurs you'll have someone familiar with what to do until help arrives. It has saved countless lives over the years! Some things that should be done immediate is upgrade some parts of your circulation equipment to prevent a drowning due to entrapment. 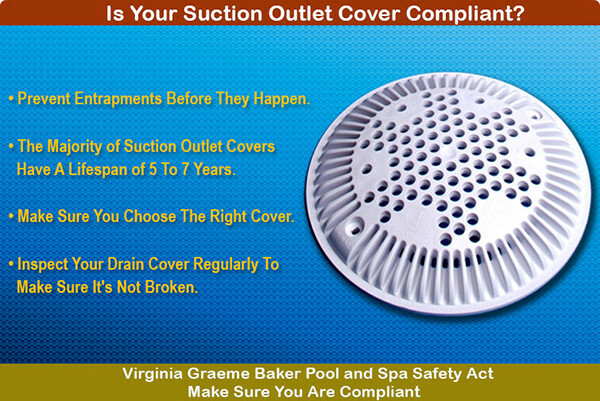 1) Update your drain covers to VGBA (Virginia Graeme Baker Act) compliant drain covers. These updated drain covers are designed to prevent entrapment and drowning as a result. They are designed to not allow the body to cover the drain completely which would create a strong vacuum suction that would entrap the swimmer. Very important. Get your drain cover done ASAP. 2) Install a variable speed pump. These pumps are designed to run at programmable speeds which is huge for solving entrapment issues. The pump starts at a faster (greater suction) speed and then once it primes it'll lower the speed which in turns decreases the amount of suction at the drain. Plus as an added bonus it saves on your energy bill! A win-win!